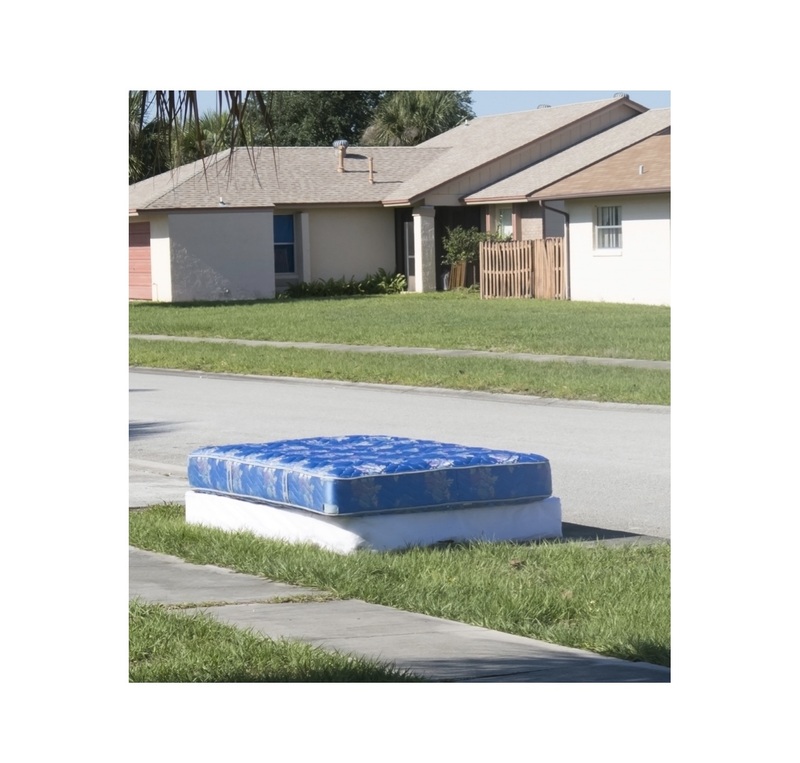 An estimated 18 million mattresses with box springs are disposed in the U.S. each year. Most mattresses have a core and cover. The core is made up of metal springs and other materials to support a person body while sleeping. The cover is made of various textiles and plastics which encase the core, usually springs or foam. Mattress components take up space and do not break down well in a landfill. While mattress can be taken apart to recycle the build materials there are currently few businesses that recycle mattresses. Mattresses take up a lot of space in landfills, and they do not compact. The springs in them can also damaging landfill equipment if they pop out and get tangled in the equipment. There are markets for the metal, wood, and textiles that that mattress and beds are composed of. Mattress are and taken apart, materials are then organized by type. Usually 95 per cent of the mattress materials can be recycled. Steel, foam, plastic, cotton, polyester, coir, wood, leather, and cardboard get diverted from landfills by being recycled into new products. Gently used and good condition mattresses and box springs as donations. Flip and rotate your mattress 2 or 3 times per year to help it last longer. Ikea introduces national mattress recycling program as part of its sustainability strategy of “turning waste into resources" and its People and Planet Positive Sustainability strategy launched in 2012. Reducing our landfill needs and the accumulate effect from mattress in landfills while recycling the materials from mattress to make new products.